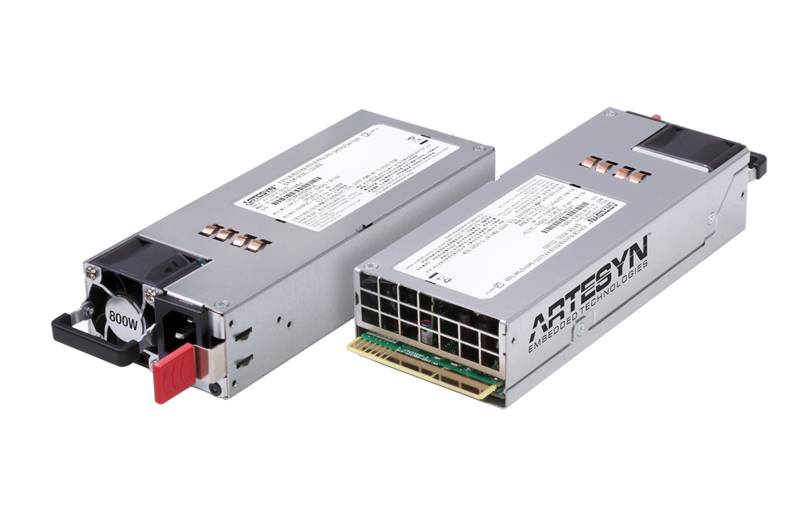 Tempe, Ariz. [6 December, 2017] — Artesyn Embedded Technologies today announced a new 800-watt server power supply following the Intel® Common Redundant Power Supply (CRPS) specification, which is designed for compute, networking and storage infrastructure in enterprise IT, cloud and hyperscale environments. The CSU800AP is housed in a compact 1U high enclosure measuring just 2.89 x 7.28 inches (73.5 x 185.0 mm) – a significantly smaller footprint than that of similarly rated earlier generation power supplies – achieved by using the latest power switching technology and high density component packaging techniques. 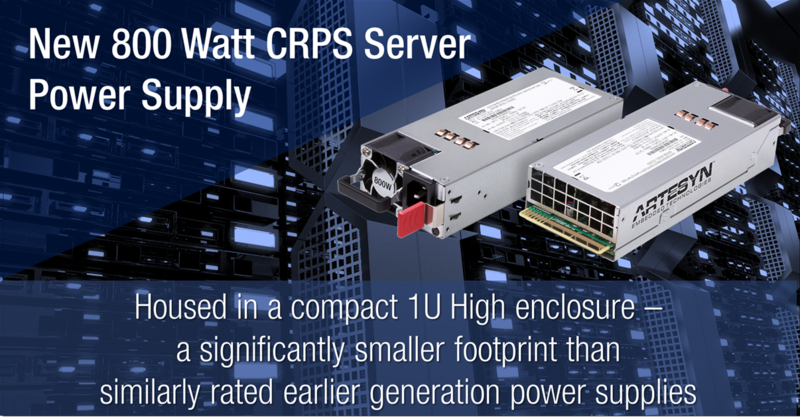 This power supply features a wide input range of 90-264 Vac, active power factor correction and is certified for 80plus platinum rated efficiency peaking at 94 percent. It also features improved current harmonics (iTHD) at light loads. The CSU800AP generates a main output of 12 Vdc for feeding downstream dc-dc converters in systems using distributed power architectures. A 12 Vdc standby output rated at 3 A can be used for power management or supervisory circuitry. The main DC output of the CSU800AP can deliver up to 66.7 A continuously and with peak-pulsed capability of up to 93.3 A. Active current sharing helps maximize cost effectiveness by eliminating the need for additional components when paralleling multiple power supplies for high current applications. The CSU800AP power supply is hot pluggable and compatible with the Artesyn Embedded Technologies universal PMBus™ graphical user interface, allowing control via an integral I2C interface using the industry-standard PMBus communications protocol.